Almost new!! This 2016 Doublewide was placed on this perfectly level .55 acre lot in 2017 and has only had one owner. 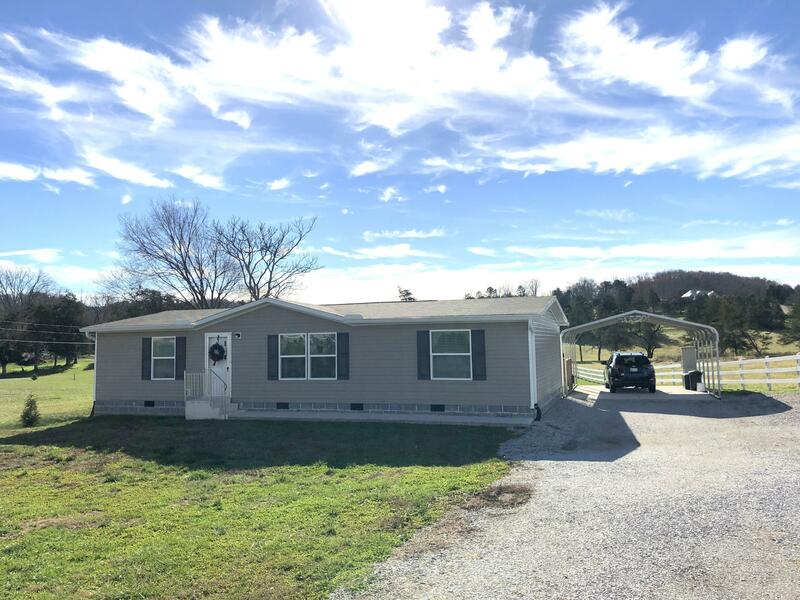 Lot is level and offers gorgeous mountain views and is located just minutes to Norris Lake, I-75 and town. Home features cathedral ceilings throughout, open great room floor plan with split bedrooms, ceiling fans, all kitchen appliances, large pantry area, mud room/laundry off the deck, large rear deck for relaxing and enjoying the mountain views. Wide gravel driveway with a 2 car carport with concrete pad, nice concrete sidewalks and block perimeter. You won't find a better deal or prettier views. Call today to schedule your private showing.